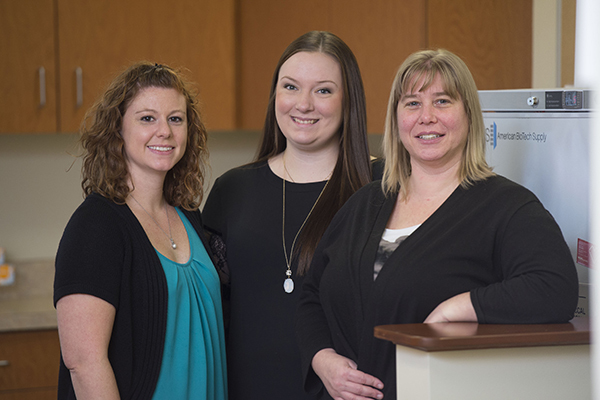 Chrissy DeCampo has worked in various healthcare settings for the past seven years, holding positions ranging from medical assistant to office manager. She enjoys keeping the office running smoothly for the patients, physicians and other staff. Melissa Breen has a public health degree from UMass Lowell and a specific interest in community health and health promotion. 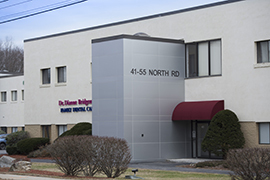 She previously worked in Lowell General Hospital’s medical education office and has lived in the area for many years. Stephanie Gilson has 12 years of experience as a medical assistant and loves what she does: assisting the physicians and nurse practitioner and helping patients in any way possible. Robyn Brandy is a Bedford native who has worked in the healthcare field for more than 30 years. She has held a variety of roles within the Emerson community. She earned her graduate degree in health services administration and is a nationally certified pharmacy technician. Christine Resteghini is a licensed practical nurse with more than 20 years of experience. Given her training and experience, she oversees flu clinics and vaccine programs at Emerson Primary Care Associates of Bedford. Becky Young has lived in Bedford most of her life and has held a number of positions with Emerson Hospital during the past 17 years. She is pleased to now serve as a medical assistant at Emerson Primary Care Associates of Bedford.